year. 2015's TIFF will take place between 9th-11th of October. 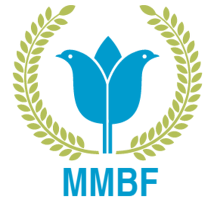 MMBF Trust has been behind numerous projects worldwide to benefit and empower filmmakers, their most prominent being the 'MMBF Rising Star Award'. The private foundation was formed to tackle hardship for aspiring actors and filmmakers and it does so through grants and scholarships and by partnering with top industry organisations. The MMBF (Matthew Martino Benevolent Fund) is a UK based international charity that supports filmmakers worldwide through training grants and bursaries, funding for first time filmmakers and provides sponsorship for film related events such as film festivals and film award ceremonies. The Trust was launched and is funded by 22year old film executive and philanthropist Matthew C. Martino.